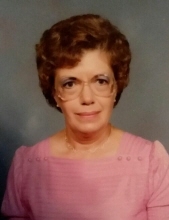 Constance Elizabeth Dalton, 85, of Mansfield passed away March 21, 2019 at OhioHealth Mansfield Hospital. Constance was born April 9, 1933 in Mansfield to John and Rose Zita Foller Dalton. She was a 1951 graduate of St. Peter's High School and a life member of St. Peter's Catholic Church. Constance was an employee of Westinghouse for many years and she enjoyed traveling, especially to Ireland. In addition to her parents, she was preceded in death by brothers John, Robert, William and Richard; sisters Mary Catherine, Mildred, Zita and Colette. Friends may call at St. Peter's Catholic Church, 54 S. Mulberry on Monday from 10:00 - 11:00am. A funeral mass will be celebrated at 11:00am with Fr. Austin Ammanniti officiating. Burial will follow in Mansfield Catholic Cemetery. In lieu of flowers, memorial contributions may be made to the Msgr. Dunn Foundation for Education. The family wishes to thank Fr. Austin Ammanniti, Betty Schartl, Deacon John Reef, the caregivers at Liberty Nursing Center of Mansfield and all the staff at OhioHealth Mansfield Hospital. To send flowers or a remembrance gift to the family of Constance Elizabeth Dalton, please visit our Tribute Store. "Email Address" would like to share the life celebration of Constance Elizabeth Dalton. Click on the "link" to go to share a favorite memory or leave a condolence message for the family.